New England is a region in the United States, which is famous for its English charm. Boston is the largest city there and the capital of the state of Massachusetts. Being home to the likes of Harvard, MIT and the Berklee College of Music, it has made itself a name as an international center for higher education. 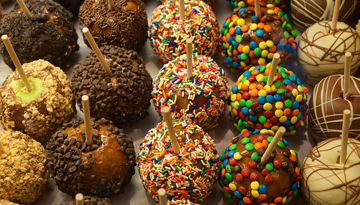 So, it doesn't come as a surprise that Boston also has a thriving nightlife and a great foodie scene! With a number of direct services from the UK to Boston it is easy to find cheap tickets to Boston year round and get to enjoy one of the oldest cities in the United States at its best. Clearly, the look, feel and renown of Boston is enough for many to hop on a plane and pay the city a visit. Particularly during the fall foliage around mid-October, it is one of the nicest places to be! We highly recommend taking a stroll through the North End, which is the oldest part of town with cobblestone streets, brick buildings and great Italian restaurants to take a break and have lunch or dinner. If you prefer to use a particular, pre-existing trail, you should look up the Freedom Trail, which will lead you to 16 historic sites. This includes the Boston Common, the old State House, Paul Revere's House, the Faneuil Hall Marketplace and the Old North Church. But what would a visit to Boston be without taking a stroll through Harvard? The campus is in Cambridge, just adjacent to Boston and offers tours, which are highly recommended on TripAdvisor. In fact, this is one of the must-sees around the city due to its beautiful parks and stunning English architecture! If you love sea food, you will feel in heaven here. As Boston is located very close to the shore, it has many fish restaurants, and the so-called "Legal Sea Foods" is a thing. Enjoy at least one New England Clam Chowder, which is a specialty here. Another must-do is a tour through the city's breweries. Be it the Ye Olde Tavern Tour or the Boston Brew Tours - you will definitely find a beer tour to your liking and experience why Boston also is called a drinking city which, not by coincidence, has a large Irish population! Getting around in Boston is easy. However, driving is not advisable. We recommend you walk wherever possible, as this is the best way to get around in the compact city center. For any further distances, there exists an extensive public transport system. The subway and bus will bring you literally everywhere. The best time to visit Boston is early and late summer. But if you'd like to see the fall foliage, you will get your fill around mid-October! Fly with Air France Oh Lala Deals, flights to Boston from London in return economy at £348. 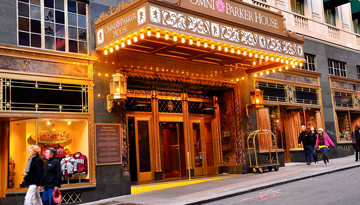 Experience the international services & amenities of Omni Parker House. 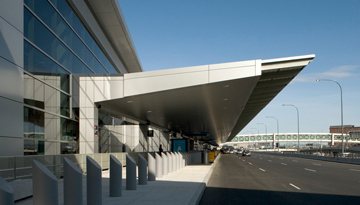 Fly from London Heathrow - Boston & Stay for 7 nights with 4 star accommodation. Include Room Only.